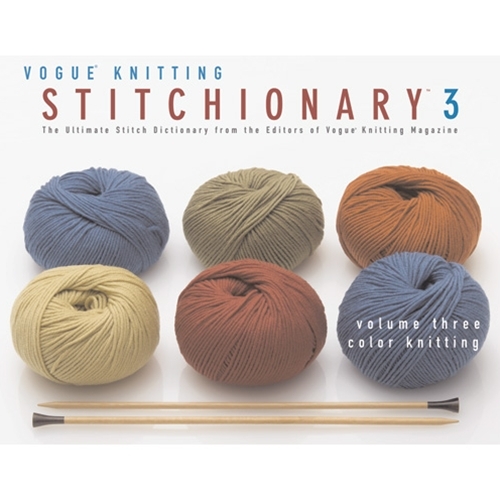 Following the immense success of Volume One: Knit & Purl and Volume Two: Cables, this inspiring third volume in the hit "Stitchionary" series features more than 200 gorgeous colorwork patterns culled from the pages of Vogue Knitting magazine. Inside you'll find five exhaustive chapters arranged thematically—Two-Color Knitting, Intarsia and Motifs, Fair Isle/Multicolor Knitting, Adding Texture, and Slip Stitches—each pattern accompanied by a detailed chart, clear photo of a sample swatch, and easy-to-follow instructions. No matter what your skill level, this essential reference book is all you'll need to add an eye-opening dimension of color to your knitted garments.